Well the boys over at the D6 Generation do it again with an outstanding review of Dust Warfare (skip to 2:22 to get right to the review). Along with Romeo Filip, from BattleFoam, they go over the rules, models and gameplay of Fantasy Flight Games’ new sci-fi 28mm tabletop wargame Dust Warfare. They then follow that up with an interesting interview with Mack Martin, co-designer of Dust Warfare. Russ’ Jedi Mind Tricks won’t work on us this time! Well ok…maybe we did buy the rulebook and some minis but…err…just for review! Overall we probably agree with Craig the most. The rules do look very good but the printed book is a tad expensive. Thankfully FFG released a PDF version of the rules at half the price. As iPad fans we thought this was a great move. We also found some of the original comics via ComiXology on the iPad or even better directly with the Dust Comic app (iPad and Android). We can’t say the stories are all that great but the art and overall world are quite amazing. The general background fluff in the rules is also very well done. As the guys discuss, the vehicle models are outstanding but the infantry troops have some issues. The un-armored troops pivot at the waist. This allows for some varied posing options but also causes them to look a bit odd. Many players will want to cut them apart and glue them. Also, while they are not as bendy at the ankles as Romeo claims, a few of the running figures are perhaps just a tad so but not really enough to matter. The Zombies may be what Romeo is referring to as they are quite bendy but unlike plastic or resin not really fragile. Of course the majority of the weapon barrels we have seen are bent and this is a problem. The armored troops are very beefy but also have the bent weapons and even the beefier weapons on the regular troops are often bent. But the detail on the figures is impressive and this is perhaps the problem. Because the figs are so nicely detailed most folks will want to paint them but then you have to deal with the bent weapons. Leaving them just primed is a shame but certainly better than bare metal/plastic we suppose. Of course as Russ demonstrated in one of his Twitter posts just some quick touch-ups can make the figures look pretty darn good. Frankly we’ve given up on 25/28mm+ ‘army scale’ games. This scale is simply too big for larger scale actions in our opinion. For skirmish games it works out great but as soon as you get above about a platoon 28mm just gets odd especially when vehicles are included. A standard gaming table is just too small to adequately accommodate the movement and weapon range differences between infantry and vehicles except in the most constricted terrain. 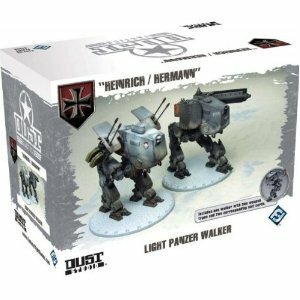 This is quite noticeable in Dust Warfare where you have these great walker vehicles but they are only moving 6″-12″ and firing, at most, 36″ and more often under 24″. This just seems odd especially when next to troops moving at least as fast and firing out to 16″ or so. This game should have been done in 15mm. But the walkers are so nice, as are many of the troops, that we are tempted to at least do some smaller battles with them — perhaps vehicle heavy forces with just a few squads of infantry. But of course for those who like company-plus sized battles in 28mm Dust Warfare gives you quite a tactically interesting system combined with mostly nice miniatures. Our first thought when we saw the miniatures was that we could use them for something else. The most obvious choice would be to use them for Incursion. They scale pretty well. The armored troops fit in just fine. 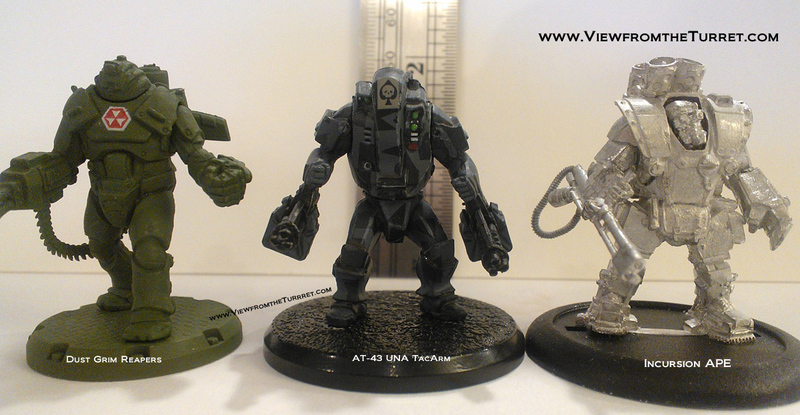 The unarmored troops are perhaps a tad tall compared to Incursion figs. Of course the Dust Tactics minis are such a good deal it is easy to replace all of the Incursion figs with them. The armored troopers especially could easily fit into almost any sci-fi setting such as Space Hulk and the like. Another idea is to use the rules with 15mm troops. Flames of War infantry would work perfectly. In Dust Warfare each ‘squad’ is essentially a section/team which is exactly what a FoW troop stand represents. Being WW2 there is plenty of variety to choose from that would fit right in. 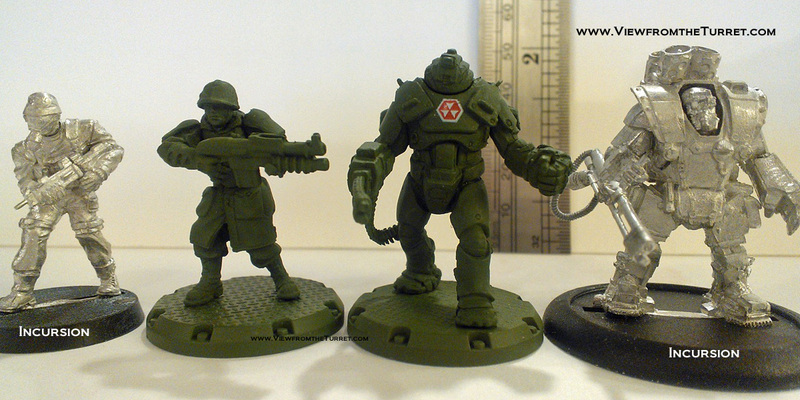 15mm sci-fi troops could be used for the armored troops such as those from Blue Moon Manufacturing. The Orion troops are great proxies for the Allied Heavy Ranger units. One would just need to make some minor adjustments for using stands versus individually based troops but this is trivial. Of course there is also nothing stopping one from basing 15mm figures individually and playing the rules straight up. The big advantage to 15mm, besides cost savings, is now you can easily have larger scale battles. Using 15mm vehicles makes even more sense. Perhaps add 6″-12″ to larger weapon’s ranges to better represent appropriate range distinctions between man-packed and vehicle mounted weapons. Clockwork Goblin is starting to make some 15mm vehicles that are almost perfect for games of Dust Warfare. 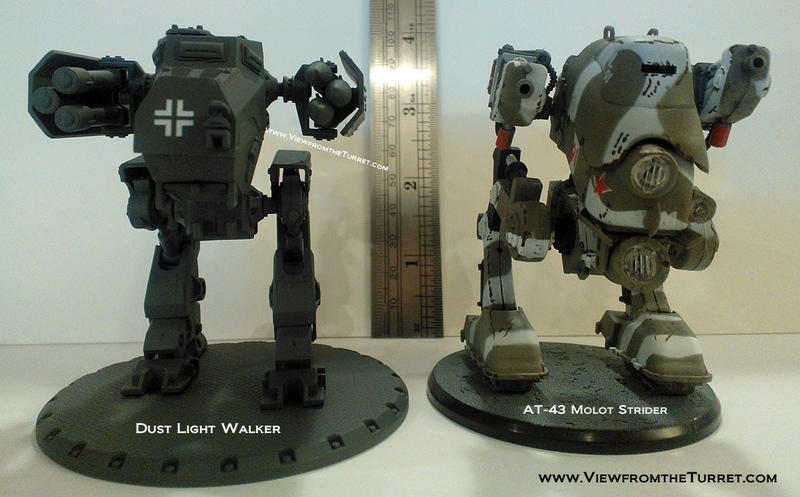 Their Konflikt 1947 line includes WW2-era power armor, walkers, and Tesla powered tanks. 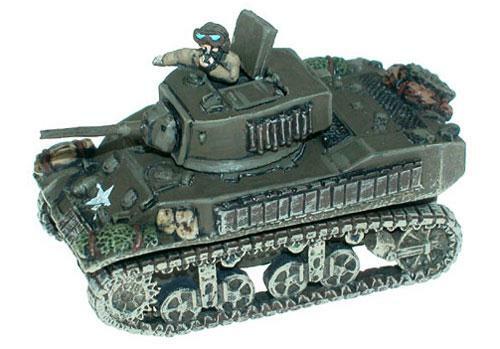 You can of course easily proxy regular WW2 minis such as the M5 Stuart tank for the M2 Series Walker but trading tracks for legs is no fun. 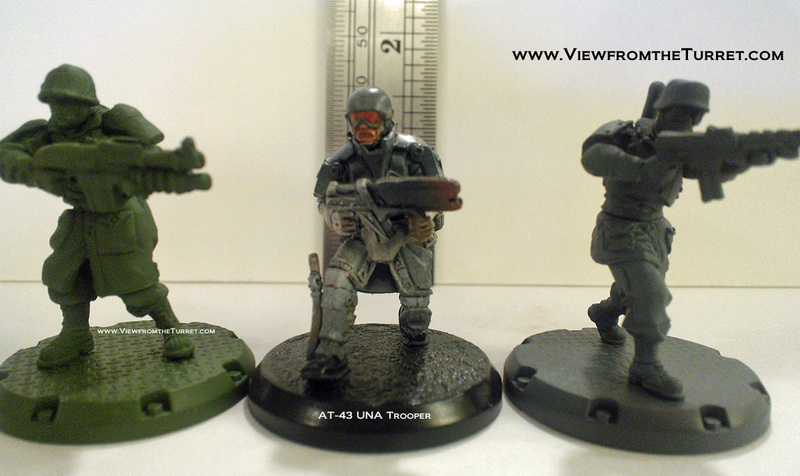 Other 15mm options to consider are: The Rebel Minis Vipers and HAMR suits make great choices. The ARC Fleet Walkers from Critical Mass Games along with the various Protolene Battlesuits give you more options. The various walkers from Ground Zero Games are also useful. The OrcTank HABAT is a nice proxy for the Allied M6 Series Heavy Walker. The Project Slipstream infantry and vehicles are also well suited. With just a bit of thought it would not be that hard to come up with suitable 15mm proxies for all of the walkers in Dust Warfare. 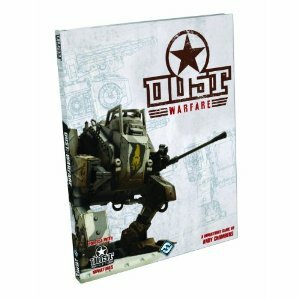 So overall it looks like Fantasy Flight Games has a hit on their hands with Dust Warfare. We look forward to seeing how the rules and the universe expand. Don’t forget to get the latest FAQ as well as other play aids from FFG. Also don’t miss Russ’ painting video, the official FFG Dust Warfare video and check YouTube for tons of Dust Warfare/Tactics videos. The blokes over at Beasts of War have a video Just what is Dust Warfare? and they have an interview with co-designer Mack Martin as well. Bell of Lost Souls also gets in the act with some good info and video with The Tectonic Shift – Dust Warfare Arrives. BattleTactics.TV has some nice looks at the various miniatures. Also for the truly deep pocketed there is always the Dust Tactics Premium version. Finally be sure not to miss Paolo Parente’s Dust site. 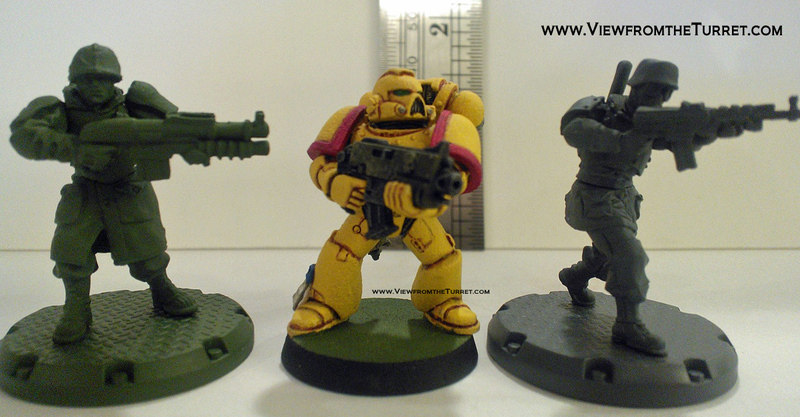 Below we have a selection of comparison photos showing the Dust Tactics figures compared with AT-43, Incursion, and Games Workshop miniatures. Briefly, they fit well with AT-43 and Incursion but not so well with GW because the Dust minis are more realistically proportioned. Even the light walkers for Dust are well over an inch taller than 40K Dreadnoughts. Also see Dust Warfare — Revisited and Dust Warfare Resources. This entry was posted in 15mm, 28mm, Dust Warfare, First Looks, Miniature Wargames, Reviews, WW2.